The Toy Box Game Disc Packs that I showed you here yesterday have officially appeared on various retailers websites. Thus bringing us a release date. This is also the date that the next wave of Marvel characters are coming as well (More on that later this evening). In addition, the listing also give us the official description of the items which notes that it does include a web code as well! Introducing new full-length customizable games in Toy Box 2.0! Each disc comes with its own pre-built games that will take you immediately into the action. Mix and mash up your unlocked toys, gadgets, or Disney Infinity characters to complete your missions!Play in 2 Player local co-op or up to 4 players online.The Disney Infinity: Marvel Super Heroes (2.0 Edition) Toy Box Game Disc Pack includes:2 Marvel Super Heroes Toy Box Game Discs1 Web Code Card AVAILABLE MARVEL SUPER HEROES TOY BOX GAME DISCS:Escape from the Kyln Disc – Includes 8 replayable levels with endless adventures each time you play! Battle ferocious inmates to escape from an intergalactic prison station, before Ronan the Accuser finds you! Assault on Asgard Disc – Over 10 replayable levels with endless adventures each time you play! Stop Loki and his army of Frost Giants from destroying Asgard and taking over Odin’s Palace. 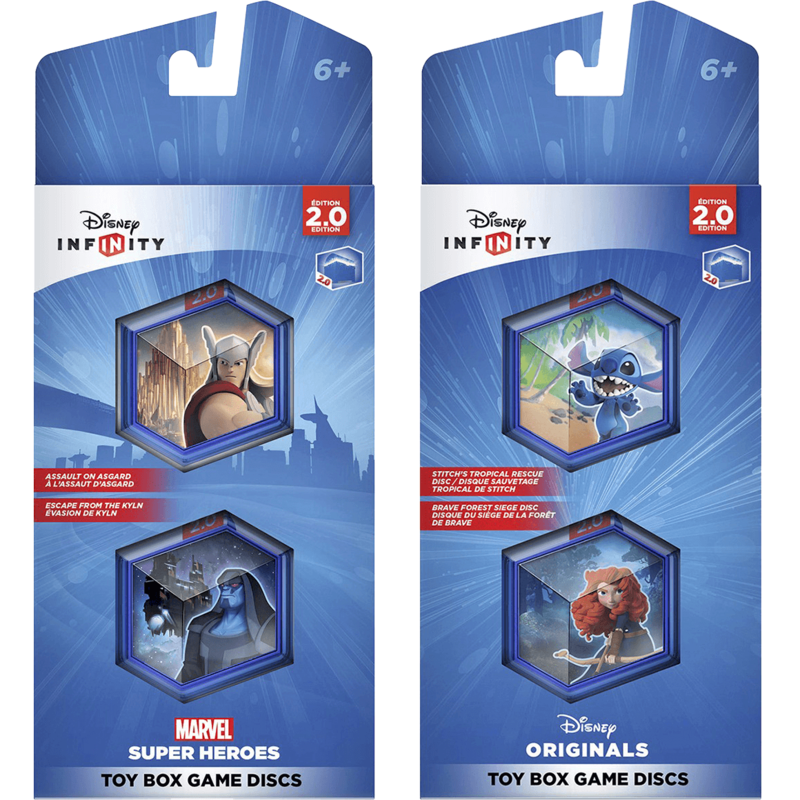 *These Toy Box Game Discs are also included in the Disney Infinity: Marvel Super Heroes (2.0 Edition) Starter Pack. You can check the listing on Target’s website (Disney, Marvel) and you should start seeing it for pre-order on your favorite retailer’s website soon. 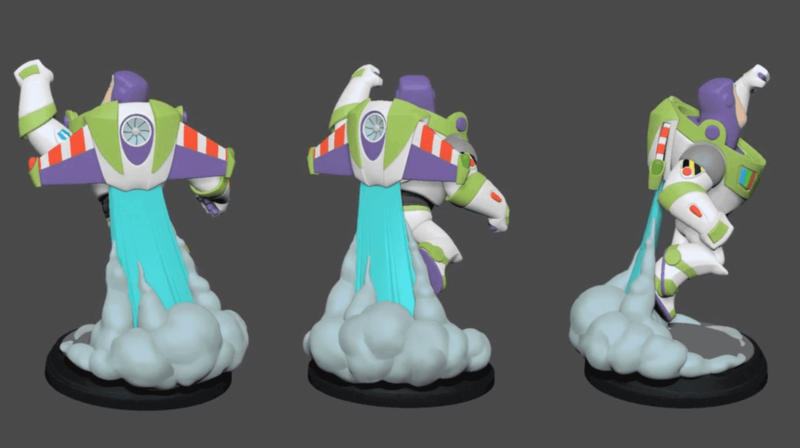 Head over to the DisneyInfinityFans.com forum and let us know what you think about these toy box game discs!